One difficult decision which often pops up is which is the easiest and most cost-effective way to travel to the ski resort?! There are plenty of ways to travel but knowing which option to take may be the difference between a brilliant or nightmare start to your much-valued holiday. Don’t worry, we’ll take you through all the options available to you with the pros and cons of each. The majority of people fly into Geneva when they travel to Val Thorens and that’s for good reason. To put it simply, Geneva is your best option 9/10 times. Many major airlines fly into Geneva from the majority of UK airports and the transport from Geneva to Val Thorens will provide the best and most varied options for all budgets. You can fly into the other airports. However, you will more than likely find muchfewers options when it comes to getting from the airport to Val Thorens. This is where we come in. You can easily book a Geneva Airport transfer or a transfer from one of the other surrounding airports to Val Thorens. 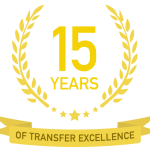 Transfer options are available to suit all budgets, with transfers ranging from standard and reliable private transfers all the way to executive and luxury transfers, as well as everything in between. The choice is all yours. When it comes to the least hassle, a transfer with Ski-Lifts is by far your best option. You simply walk up to our desk in Geneva Airport and you will be met by your driver. Then it’s a case of relaxing and letting the driver do the rest of the work until you arrive at your accommodation in Val Thorens. Hassle-free especially applies to you if you’re planning on bringing your own skis. All of our transfers to Val Thorens include ski carriages, so you can bring them on the transfer for free. Get an instant quote now for your Val Thorens airport transfer. Minimum journey time – 2 hour 25 minutes. Another option for getting to Val Thorens is to take the public bus from Geneva. The closest bus station to Val Thorens is at Moutiers, the town at the bottom of the mountain (which is also where you’ll arrive if you’re coming by train). Taking the bus from Geneva to Val Thorens is an option if you’re on a tight budget, but it will inevitably take significantly longer than a transfer. The bus has to make a number of stops and isn’t the most convenient. From Geneva airport, buses operate every day of the week in winter with 6 buses on Saturdays, 4 on Sundays and 3 on all the other days of the week. Minimum journey time – 3hours 30mins. Some people do prefer to bring their own vehicle to Val Thorens and assure that it can give you more flexibility over flying to Geneva. However, bear in mind if you do decide to drive that in winter the roads are tricky to drive in places, especially in extreme weather. Driving can be a stressful way of travelling to Val Thorens (especially if you’re the driver). The drive takes over 11 hours from London, so if you’re not stopping off overnight along the way, it can take its toll. It can also be tricky to manoeuvre and that’s why we only use the best and most experienced drivers. They have years of experience driving on these roads in the trickiest of conditions. Minimum journey time – 11 hours. Not all airport transfer companies cater to people bringing extra luggage. 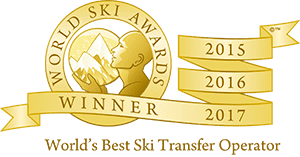 However, if you book your transfer with Ski-Lifts you can bring your skis free of charge as well as one item of hold luggage. When you book your transfer you can specify how many items of hold luggage and skis you would like to bring, that way we know in advance and can cater for your needs. So, what’s the best way to get to Val Thorens? We’ve given you the facts as well as the pros and cons of the different ways of travelling to Val Thorens from the UK. The question on your lips might be, what is the best way to get to Val Thorens? If you’re travelling from the UK, without a doubt, the quickest and easiest way to get to Val Thorens is to fly into Geneva. Then take an airport transfer from Geneva with Ski-Lifts. Geneva is the best airport to Val Thorens, with a transfer time of around 2 hours 30 mins and many of the major airlines fly into Geneva from a selection of UK airports. Chambery is also close, but it has limited options when it comes to transfers. If you’re taking a transfer, you will be collected from the arrivals hall at Geneva Airport and taken to your accommodation in Val Thorens. Whatever your budget, Ski-Lifts have transfer options to suit your needs, with; private, executive and large coaches available to book!